Does Britain need a written constitution? The Political and Constitutional Reform Committee (PCRC), led by MP Graham Allan, argues Britain does. The Committee suggests it is the right time to codify one now. Canterbury Christ Church politics students have been getting to grips with the Committee’s proposal and some believing the contrary: it is not time for Britain to entrench its rules, treaties, and traditions in a single document. Rather there should be a focus on constitutionally reforming some of Britain’s most important governing institutions and processes. When the final year class of Critical Issues in Contemporary Politics, taught by Dr Mark Bennister, discovered the PCRC had opened a public consultation on the question, ‘Does the UK need a codified constitution?’ several of us were immediately attracted to this very contemporary issue and the idea of submitting evidence. Four students (Bronwen Edwards, Janelle Sizer, Alexander Bargus and I) were chosen to produce a group submission to the consultation. You can read what we submitted to the committee here. I want to briefly describe to you though, the importance of such a process by which we presented some perspectives of Canterbury Christ Church’s students. 800 years since Magna Carta: a history lesson for today? This year, as well as being an election year, is the 800th anniversary of Magna Carta. This historic document represents a major cornerstone of the UK’s unwritten constitution. Magna Carta was the culmination of popular discontent against King John and established the concept of the ‘rule of law’. Looking to the past, CCCU has a deep interest in this celebration, as Professor Louise Wilkinson (School of Humanities) has been involved in the Magna Carta Project. The PCRC has also wants to use this opportunity to look forward. They want to inform the debate about whether or not the UK should have a codified constitution. They outlined arguments for and against a written constitution, followed by three possible options in their report, ‘A New Magna Carta?’ which you can read here. It is the culmination of research the committee has undertaken under the current Parliament and in collaboration with King’s College London. It was opened, however, to debate and discussion for the electors and anyone interested in the constitutional future of the UK, to consider, accept, reject, or amend the report. But we’re only Canterbury students? The four of us who submitted evidence in this consultation had good reason for participating. We wanted to see firsthand how the UK’s select committee and political system worked, as well as be involved in an actually policy initiative, having studied important policies and processes of government over the previous three years. Additionally, we have seen the growing disillusionment and apathy in the UK, particularly among young people as shown, for example, by low election turnouts. This is undesirable and we want to encourage more people to get involved in British politics. Constitutional change is a huge issue, which would change the future, our future, of the way Britain is run. So… what views did we present to the PCRC? Prior to reading the report, we were split 50-50 on whether the UK needs a codified constitution. It became more interesting and complex, however, once we read examined the research and proposals of the committee and King’s College London. The others outnumbered me by arguing that, although there were crucial areas in the report which had been overlooked or ill-defined, the UK does need a single written constitution similar to the committee’s illustrative blueprint. For me, on the other hand, any constitution along the committee’s proposals would be problematic for certain institutions and processes within British government and therefore, a constitution that is flexible and representative of all groups and interests needs to be retained. How did we reconcile these views therefore? In the end, we all agreed it was not the right time for the UK to codify its constitution and certainly not according to the proposals put forward by the committee. Instead we suggested there are fundamental and core areas needing constitutional reform. Mostly notably, major representative and structural changes to the Houses of Parliament and devolved regions are needed before a codified constitution is considered or written. Using the latest statistics and contemporary evidence, such as the Smith Commission on new powers for Scotland, as well as recent academics, such as Meg Russell, we highlighted some of these flaws while suggesting solutions. Firstly, both Houses of Parliament need constitutional reform. The committee system and the role and oversight by the second chamber need reinforcing before a codified constitution is created. There are issues such as absenteeism and electoral reform in the House of Lords which need solving first, while simultaneously, ensuring the existing expertise, independence, and oversight in Parliament is maintained. Devolution, on the other hand, requires greater debate and discussion before there is a written constitution. With long-standing and recent calls for further devolved powers to different regions of the UK, solutions need to be found for financial and electoral regulation of devolved assemblies, as well as greater clarity about their powers. Additionally, the illustrative blueprints currently exclude references to the role of First Ministers and secession; such issues for the devolved bodies need clearer definitions. Thus, by focussing on parliamentary reform and devolution, we believe there are individuals, groups, and processes within the UK which need their interests protected under a codified constitution. This will increasingly allow the democratic functioning of the UK to continue. Has our submission helped us understand politics and governance better? In my opinion, I think we learnt a lot about select committees. Firstly, we had to consider how the committee clerk would file and prioritise our submission among the hundreds of other contributions and what we could do to ensure ours would be acknowledged above the rest. This helped us present our views clearly, briefly, and professionally. Instrumental to presenting a group submission was producing a coherent argument with a consistent style, backed with appropriate references of some of the latest statistics and research. Secondly, concerning the committee process, we learnt how and why select committees open their various reports to public consultation. The PCRC, with help from King’s College London, put an enormous amount of research and preparation into their report. They then opened it up to consultation, followed by their consideration of the thousands of contributions on the issue, which have been published in the committee’s final report to government. This means we are now at the stage where the PCRC are awaiting the government’s response to their recommendations for a codified constitution in the UK. Hence, these practical lessons have meant I, and the rest of the group, really appreciated the opportunity to participate in this process, as we learnt a lot about how a select committee works, as well as how to improve our own writing styles and structures for producing a strong piece of evidence on various issues. We have been made aware that our group submission has been published in the committee’s final report. However that is as far as our participation goes on this issue of constitutional change. We will be keeping an eye on the committee’s webpage to see whether the coalition accepts the committee’s recommendations. It is a crucial time for the report to be decided up though. 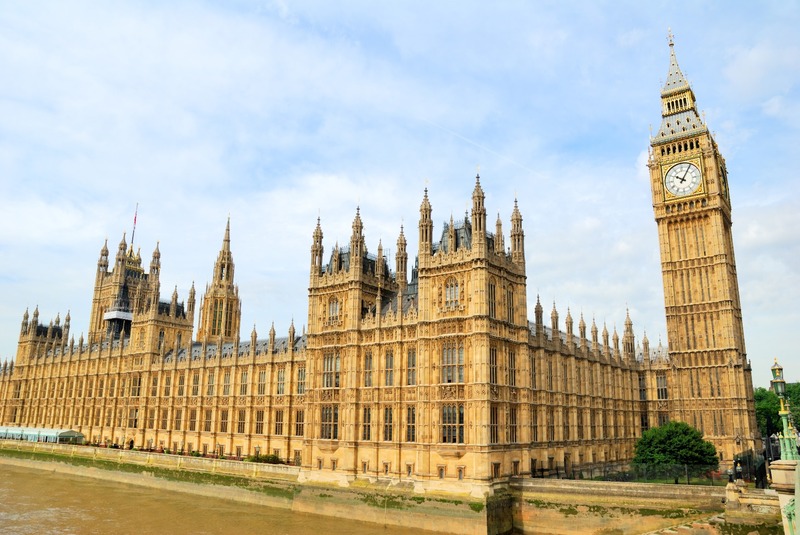 With the general election fast-approaching, any decision in favour of codifying the constitution of the UK will have major effects on the current, but more likely the new government, will act. For now though, we have to playing the waiting game and continue the debate about whether the UK should have a written constitution or if it should retain the democratic 800 year old Magna Carta.